You’ve browsed our wedding overview. 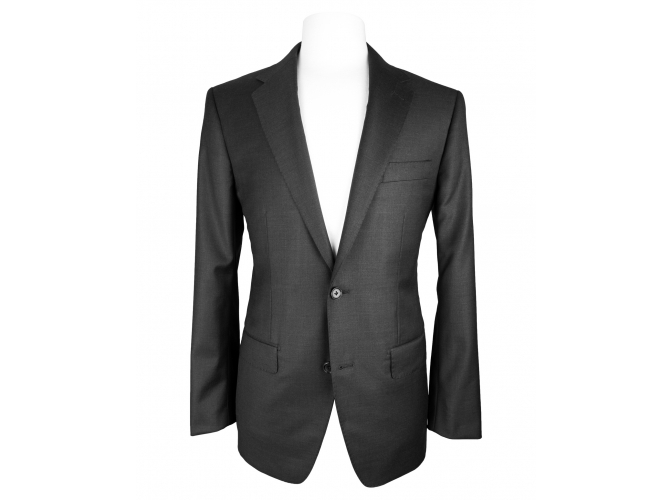 You’ve read about the one and only suit you need for almost any wedding. The thing is, you’re not a suit person – maybe you don’t need to wear them regularly, maybe you don’t like to wear them, maybe the One Suit suit is perfect for you, or maybe it just doesn’t fit your needs. Either way is fine, because today we’re going to discuss how to pick a wedding suit that you’ll wear after the wedding is done. 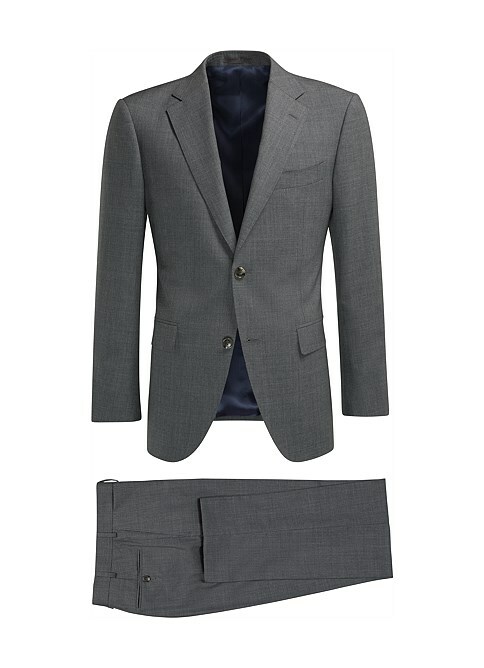 The purpose of the One Suit is that it can be worn to 99% of the weddings you’ll ever go to, including your own. A charcoal (or navy) suit with a proper wedding tie and a white linen pocket square is only out of place when the dress code calls for something specifically different – such as “black tie” or “beach wedding: no shoes allowed.” In the case of the former, please see our guide to black tie. In the case of the latter – we’ll discuss that another time. 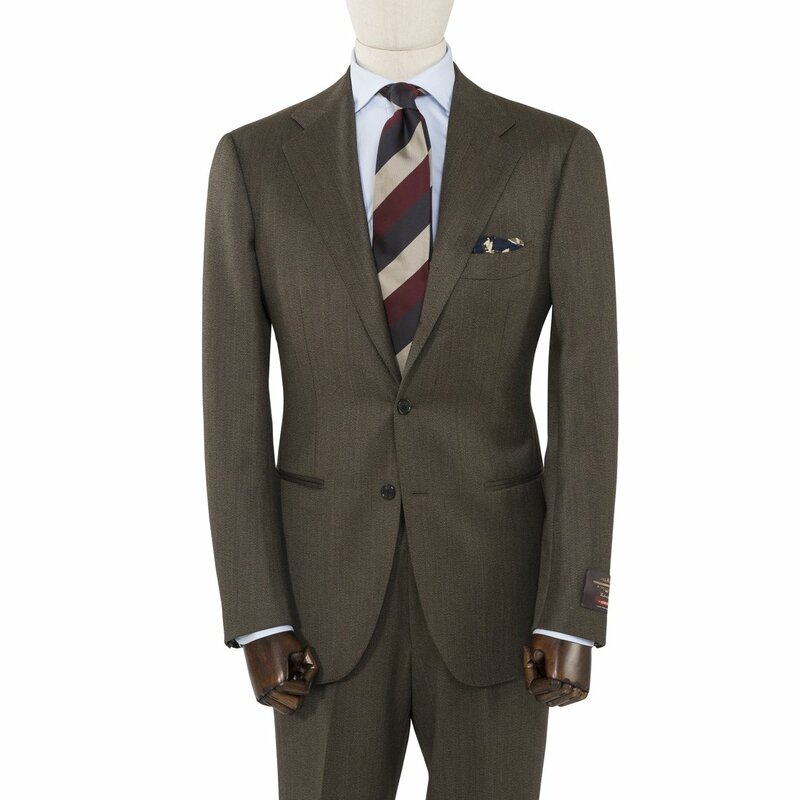 The One Suit can be found at just about every suit retailer, at every conceivable price point. This makes it easy to find something appropriate if you’re shopping on a budget, and easy to branch out into something nicer if you’re interested in spending more money. In addition to being wedding-appropriate, the One Suit will carry you through job interviews, nice dinners, important meetings, and memorial services. You can change the shoes, tie, and pocket square and be well-dressed wherever you go. 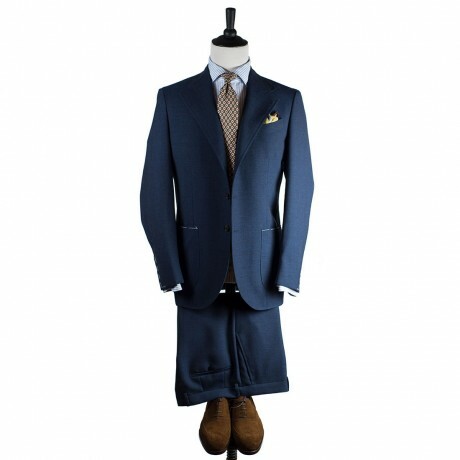 It is the workhorse suit, which is why we recommend it as the first wedding suit you should consider buying. If you think there is a chance you will ever need to wear a suit again in the future, this is a sure-fire option. However, alternative situations call for alternative options. Let’s consider the example of a cousin of mine, a biologist who is getting married this June, and who spends most of his life in shorts and flip-flops. This will not be a formal occasion – it’s a very casual affair, being held in a field by a stream, and neither jackets or ties are required. After some deliberation, he decided he nonetheless wanted to wear a suit. And so, we went suit shopping. In this case, it made no sense for him to end up with a business-appropriate charcoal suit in a grey worsted wool. He would have worn it once, looked out of place at his own wedding, felt uncomfortable in his own skin, and then retired the suit to his closet for all eternity. In other words, it would have been a wasted expense in every conceivable way. And so, we started looking at alternative fabrics – cottons, linens, and blends of all kinds. As we went through these options, he tried each one on, looked at himself in the mirror, and then tried to imagine if he’d ever wear it again. Suit after suit, “No” was the answer. He simply has no reason to wear one – the fish he studies won’t be impressed by it, and although he wanted to look nice for his wedding, he didn’t think it made sense to spend a lot of money on something that brought him no joy. 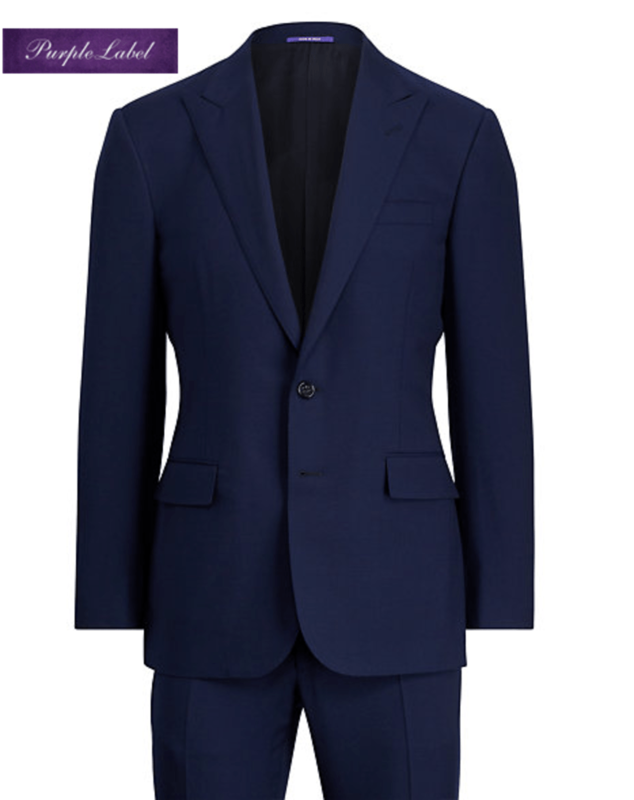 After many hours of frowns and frustration, he found the one that would work for him: a navy blue wool and linen-blend Eidos ‘Tenero’ suit. He liked the texture, but more importantly: he liked the way he looked in it. I can’t overstate the importance of this feature: if you do not feel good in your suit, and if you do not think you look good in your suit, you will not enjoy wearing it. Here’s the kicker: it was the first suit he’d tried on that he said he could see himself wearing again. On trips, or on occasions that call for more than shorts and flip-flops, he’ll be able to wear the jacket alone with a pair of jeans; when the situation calls for it he’ll be able to wear the whole thing together. It’s unique enough that he’ll be able to enjoy it, but not so much so that he’ll never have the occasion to. I think he’s still struggling with the idea of a tie and leather-soled shoes, but in this case the suit ticked all of the necessary boxes. What sort of occasion is it for? Is it just for weddings, or do you want to wear it during the work week as well? Consider the example of my cousin. Does the One Suit make sense for your situation? If you are attending a summer wedding hosted by a pair of young bohemians who don’t bother with tradition, perhaps a light-colored linen suit will be a better fit for your needs and your lifestyle. When will you be wearing it? Which seasons? Will it be hot or cold? Example: you really love tweed, and will have an excuse to wear tweed when you attend an autumn wedding on the East Coast. However, you live in Southern California. 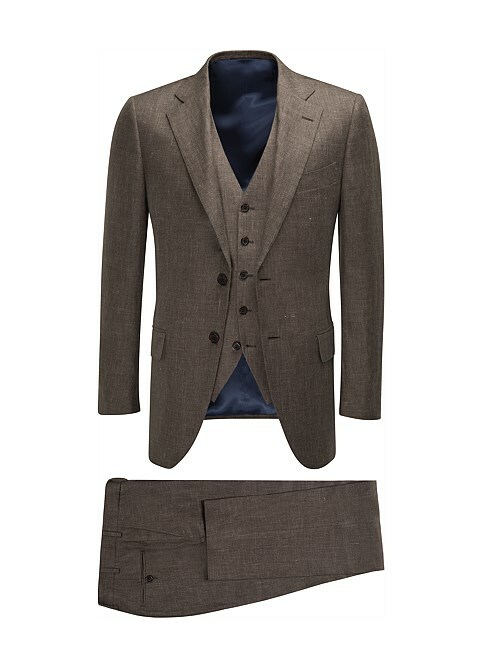 In this case, don’t buy the tweed suit – opt instead for something that will fit your climate. What’s your budget? It’s my opinion that clothes are made to be worn, so if you’re planning to spend some cash, I hope you’ll be wearing it regularly. Budget varies by person. That said, if you are going to spend 2,000$ or more on a wedding suit, I hope that it will be one you plan to wear regularly. Remember, if you’re looking for maximum reusability, a wedding is not the occasion to buy a ridiculous, one-off suit – because there are still things you shouldn’t do at a wedding. If you’ve been asked to attend a wedding that is at all formal or conservative, and the dress code has indicated that you wear a suit, your best bet is still the One Suit. If you have questions about your own situation, feel free to ask them here or post them in the Wedding Advice Thread, where Styleforum’s knowledgable members will do their best to solve your sartorial conundrums. This entry was posted in Style and tagged how to buy a suit for a wedding, wedding, wedding advice, wedding attire, wedding style, wedding suits by Styleforum Editors. Bookmark the permalink. Thanks for the catch! That has been fixed.